Why is John Kasich snubbing the RNC in his home state? Is he really that childish? Is he supporting Hillary now? Even if he doesn’t want to whole-heartedly stump for Trump, he could AT LEAST lay out how bad Hillary would be for our country! For those of you who were HUGE Reagan fans that say you can’t support Trump because he had 3 wives. Do you REALLY know Reagan? Those of you who didn’t want Trump… get over it! Be part of the solution. Whining won’t get you anywhere. Keep praying for our law enforcement officers. You know when you have a problem, they’re the ones you call. 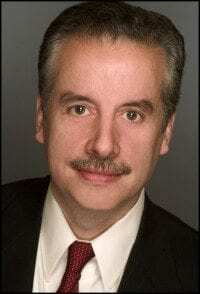 Author Tom Borelli talks immigration, assimilation, and loving America while appreciating your heritage. America is about the opportunity. Obama’s presidency could have been one of the most inspiring, uplifting messages to young people everywhere. Regardless of color or upbringing, you too can be POTUS. Unfortunately, he wasn’t politically wired to inspire and unify, but to divide. Republicans & Democrats are playing 2 different games. Dems are playing to win. Reps are just happy to be there. Hillary has guaranteed higher energy costs by shutting down coal and fracking. Trump wants to open up competition which will drive prices down.